Akron, N.Y. – January 23, 2019 – In 2017, Perry’s Ice Cream introduced Bad Breakup to comfort those unlucky in the relationship department. 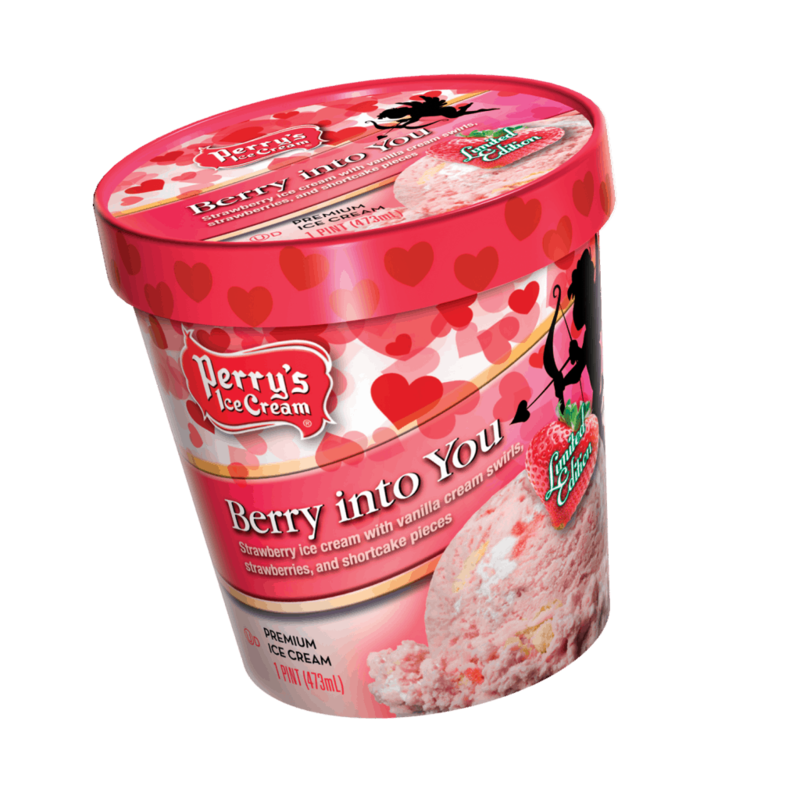 Following the success of Bad Breakup, Upstate NY’s #1 ice cream brand is adding a limited edition pint for those who are up to fully embracing the Valentine’s season with Berry into You. Berry into You is strawberry ice cream with vanilla cream swirls, strawberries and shortcake pieces. Bad Breakup is sea salt caramel chocolate ice cream with milk fudge swirls and fudge-filled hearts. Suggested retail price for Berry into You and Bad Breakup are $3.59 USD per pint. Berry into You and Bad Breakup are available in grocery and convenience stores and online at ShopPerrys.com or Amazon. 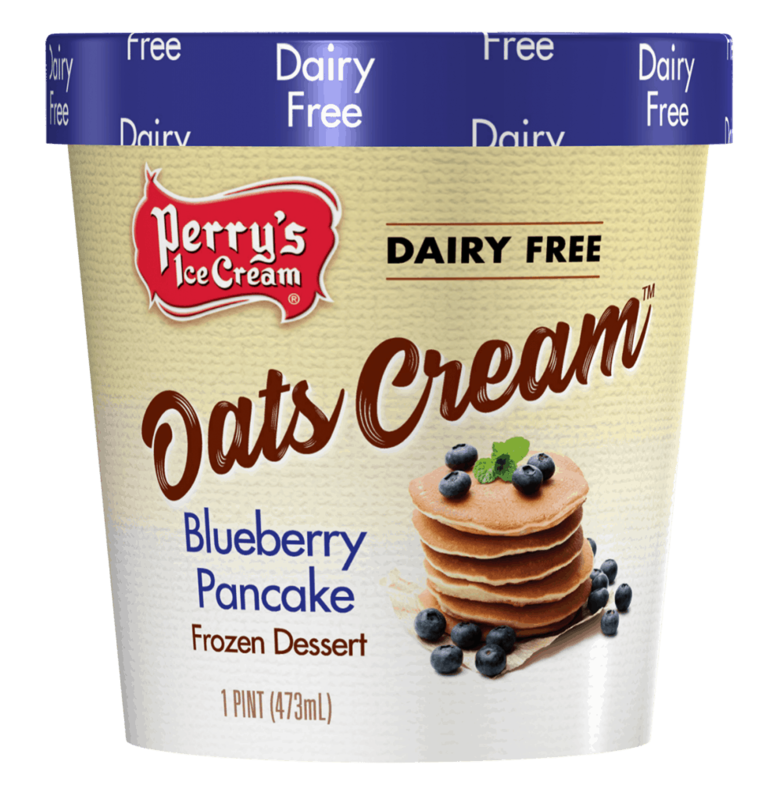 To learn more about Perry’s Ice Cream and where to locate products, visit PerrysIceCream.com. Perry’s Ice Cream, founded in 1918 by H. Morton Perry is a Great Lakes regional brand and Upstate New York’s #1 selling ice cream. Perry’s is a family-owned and operated fourth generation ice cream manufacturer with over 375 employees and uses fresh milk and cream from local farms to proudly craft and slow-cook its ice cream for an exceptionally creamy texture and taste that consumers have fallen in love with for over 100 years. 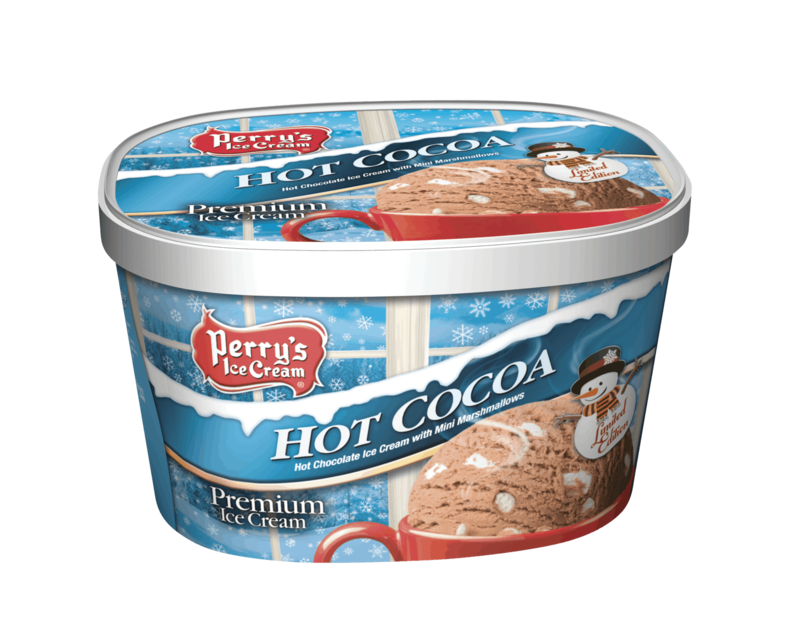 Perry’s Ice Cream is launching two new limited edition seasonal flavors for the holiday season. Perry’s raided Santa’s stash to create Elf Trash, a white chocolate ice cream with red and green fudge candies, fudge covered pretzels, fudge covered peanuts, and praline peanuts. The pint package is whimsical and features a special message from their “head elf”. Cozy up by the fire with Hot Cocoa, a hot chocolate ice cream with mini marshmallows. The family size package features a snowy winter theme. “Perry’s is always looking to bring excitement to the line up and this season we saw an opportunity with our holiday seasonals. We’ve transformed a traditional holiday snack into a playful ice cream flavor with Elf Trash. We also look for trends in the market and Hot Cocoa themed products are on the rise across multiple categories,” said Nichole Buryta, brand manager. 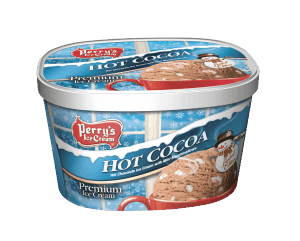 In addition, Perry’s classic holiday flavors are now available for the season including, Pumpkin Pie, Peppermint Stick and White Christmas.